Downloadable PDFs of forms (for pardons, expungement, and sealing records) are available for your convenience. Please note that some of these forms are county-specific. Call or visit your local county court office to obtain county-specific documents for where you reside. Some forms are not available online. Contact your local county or state court to obtain the documents you need. Montana Pardon Application Montana expungement is only allowed in very specific circumstances. 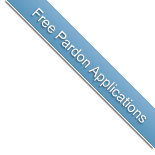 There is no specific form for Rhode Island pardons. To apply for a pardon, you must write a letter explaining the conviction you would like pardoned, and why you feel you would benefit from a pardon. Utah Expungement Form There is no specific form for applying for a pardon in Utah.